SEE BELOW FOR MORE INFO ON THE CLARISONIC PLUS AND TRAVEL-SIZE CLARISONIC MIA! 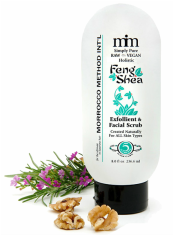 It cleanses and exfoliates gently but effectively with no harsh abrasives. It's also waterproof and can be used in the bath or shower. Choose from the Clarisonic Aria, Plus, or Mia. The Aria is for general facial cleansing, while the Mia is a smaller travel-size. The 'Plus' has three speeds for the face plus a body mode. It's perfect for removing dry patches, firming areas prone to cellulite, and preparing the skin for a self-tanner. You may also choose from Clarisonic's full line of skin care products such as facial cleansers and masks, or use your own. To read more about the power of the Clarisonic Cleansing Brush to gently exfoliate the skin, Click Here.